First published in 1997, this volume brings together a series of essays on the philosophy of science and responds to the "crisis of rationality" which evolved from the denial of both a stable methodology and a common language for science. Howard Sankey holds that important insights about scientific methodology and rationality may be gleaned from the historical approach, from which the existence of profound conceptual change in science, as well as the absence of a neutral observation language, are important findings. 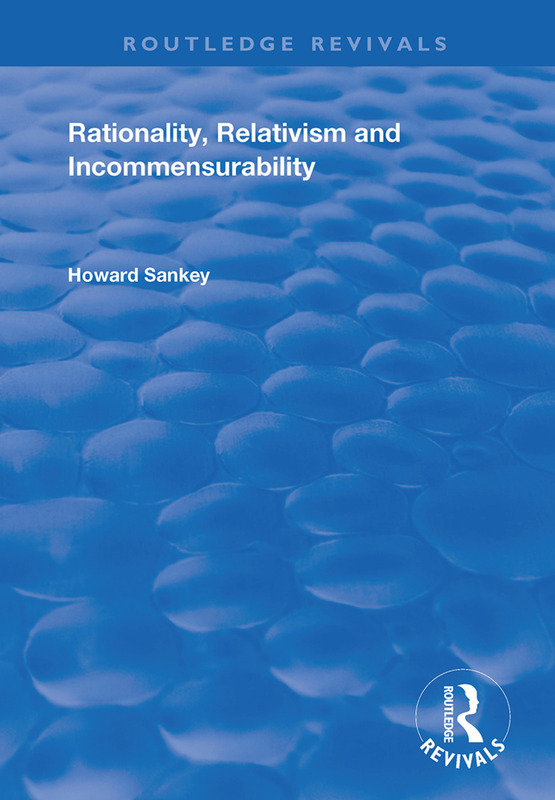 Half of Sankey’s essays concentrate specifically on the thesis that alternative scientific theories are incommensurable due to semantic differences between the vocabulary in which they are expressed. Several others seek to derive a new way of thinking about scientific rationality from the historical critique of the idea of a fixed scientific method. Still others demonstrate how some seemingly relativistic themes of the historical approach may be embraced in a non-relativistic manner within the context of a pluralistic and naturalistic theory of scientific methodology and rationality.